As cyberspace has become a new battleground, Vietnam has developed its own ‘online troop’ to combat hostile forces, a general confirmed on Monday. 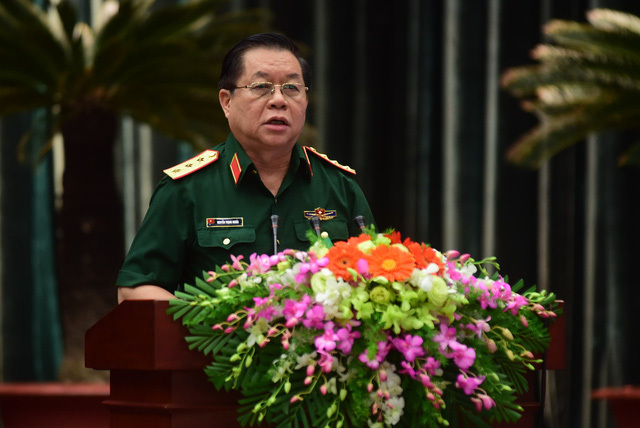 Colonel General Nguyen Trong Nghia, deputy chairman of the General Political Department of the People’s Army of Vietnam, believes that there is no reason why Vietnam should keep this special force secret to the world. “Some have questioned if this is a kind of information that should be made public,” Nghia said at a national meeting to recap Vietnam’s education and propaganda effort in 2017 and set plans for 2018 in Ho Chi Minh City. Nghia said the special force tasked with combating wrongful information and anti-state propaganda is called the Force 47, named after Directive No. 47 that governs its foundation. The team currently has more than 10,000 members, who are "the core fighters" in cyberspace. The three-star general underlined that members of this team are “red and competent,” implying that they have both technology expertise and good political ideals in addition to personality. At Monday’s meeting, Nghia also briefed delegates on the necessity to have a special force to fight in the ‘information war’ on the Internet. This year marks the 20th anniversary of the advent of the global computer network to Vietnam, which Nghia said has emerged as one of the fastest-growing countries for Internet users. In the year to date, some 62.7 percent of Vietnam’s population of 90 million have had access to the online world, according to the colonel general. “However, such a strong growth rate does both good and harm to the country,” he underlined. He elaborated that the hostile forces have taken the Internet as the new medium for their effort to sabotage Vietnam. The Central Party Committee of the People's Army of Vietnam has therefore acknowledged that besides the conventional military, which is the core of the national defense task, there should also be forces ready for warfare not only in the ground, sea and air arenas but also in cyberspace and in the universe. “The Central Party Committee of the People's Army of Vietnam has concentrated on building forces to fight against wrongful views,” Nghia said.